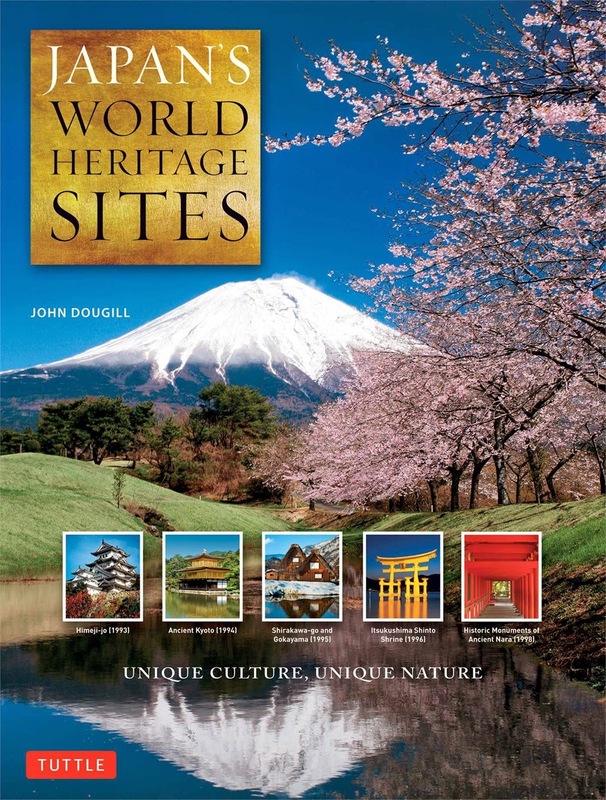 Japan’s World Heritage Sites: Unique Culture, Unique Nature by John Dougill, published by Tuttle Publishing is a great guide to Japan’s amazing collection of UNESCO World Heritage Sites. This is a must have book for any fan of travel in Japan and for people who are looking to explore the must see tourist destinations and attractions in Japan. Japan is rich in both natural and cultural wonders, and UNESCO has registered 18 natural and cultural sites in Japan. The sites span the north of the country to the south, from the subarctic of the Shiretoko Peninsula in Hokkaido all the way down to the Ryukyu Kingdom in subtropical Okinawa. I love exploring Japan and have been lucky in my over 10 years of living here to have traveled around most of the country. When I visit a region in Japan, one of the first things I look for are its World Heritage Sites. You could call me a temple, shrine, castle and garden explorer as these are typically the places that you will find me in. Japan has these in abundance as well as natural wonders which will leave you speechless. 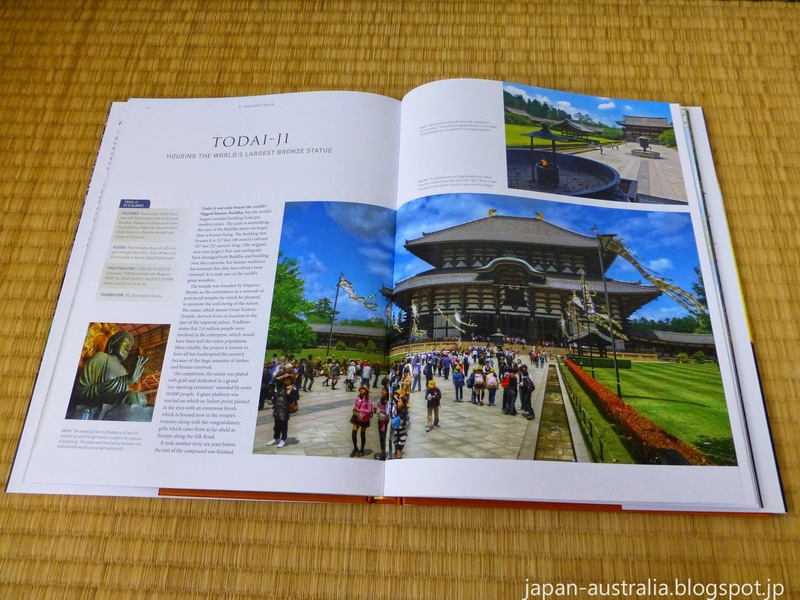 This book at 192 pages outlines the World Heritage Sites of Japan with large colour photos and detailed text explaining what makes each site so special. It is filled with more than 350 colour photos, illustrations and maps. 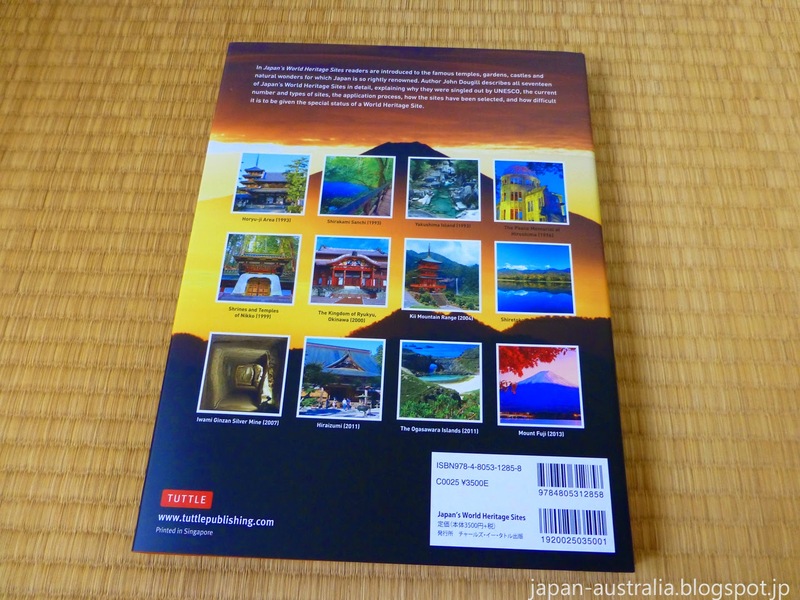 It is the perfect coffee table book to provide you with an introduction and outline of Japan’s World Heritage Sites. The description of each site contains practical information for the visitor as well as lush photographs and detailed maps. The book is an excellent guide for travel planning in Japan, or as a resource to use while exploring the country. From Mount Fuji to ancient Kyoto, readers of the book are introduced to temples, shrines, castles, gardens and the natural wonders for which Japan is famously renowned. • Mount Fuji, Japan's tallest and most sacred volcano, it is considered the sacred symbol of Japan. • Himeji Castle, a monument from Japan's long feudal history. Also known as Egret Castle, because it looks like a bird taking off in flight. • Horyu-ji Temple, the world's oldest surviving wooden structure - a center of Buddhist learning that still serves as a seminary and monastery. • Hiroshima Peace Memorial, or Atomic-Bomb Dome - one of the few structures to partially survive the atomic blast in 1945. • The Ogasawara Islands, a remote archipelago of over 30 islands - that is home to rare wildlife and spectacular scenery. This is the perfect book to keep at home and plan your next trip in Japan, inspire you to visit the country, or just to sit back in your comfy chair and let it whisk you away for a journey across the country. 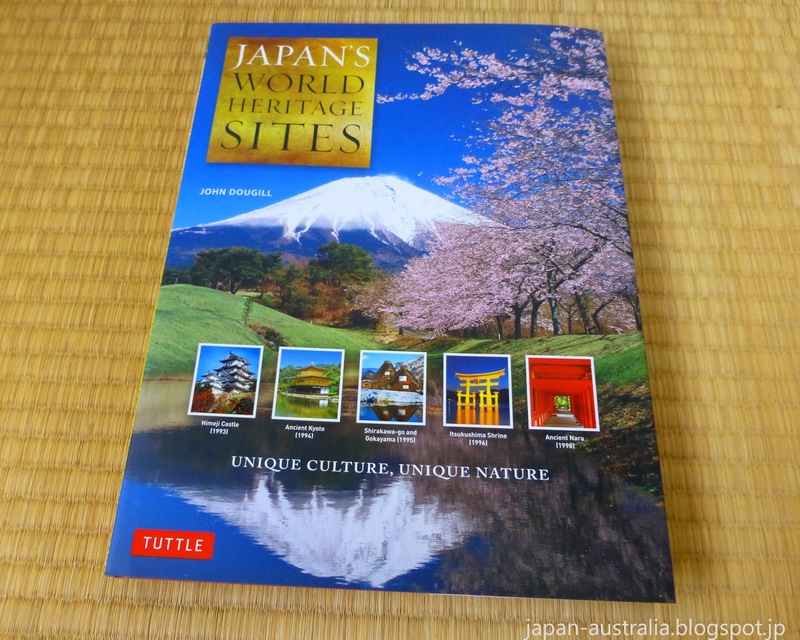 Japan Australia has a FREE copy of Japan’s World Heritage Sites: Unique Culture, Unique Nature to give away to one lucky winner, courtesy of Tuttle Publishing. We will select a winner at random and announce the result after the closing date. Entries close on Sunday, 12 October 2014. Note: Please do not comment as Anonymous, use a profile such as Google or WordPress, etc, so we can contact you if you are the lucky winner. We will also announce the winner in a future blog post, so stay tuned to Japan Australia. That looks like a wonderful book! My favourite World Heritage Site in Japan is Hiraizumi in Tohoku. I first visited this year and I loved it. It was special because there were hardly any other tourists around and I felt like I was the first person to discover the place! Thanks Ali! It is a great book and will be a welcomed addition to the collection. Hiraizumi is a great choice! The Tohoku area is one that is often ignored by the visitor to Japan, so I hope more people will start exploring that wonderful part of Japan. Itsukushima Shrineis my favourite Japan world heritage site - such a spectacular site at sunset with the tide coming in and deer all around, something magical you could only experience on Miyajima. Thanks Luke! Itsukushima Shrine on Miyajima is a great choice and one of my favourite places in Japan. It is just so magical and definitely worth a stay there overnight in a traditional Japanese ryokan. Mount Fuji is my favourite Japanese world heritage site because nature leaves the best landmarks in a country. Thanks Hayley! Another great choice! Mount Fuji or Fuji-san is a scared icon of Japan and just so beautiful. Every time I see it, it looks completely different. Mt Aso in Kumamoto prefecture is my favourite Japanese World Heritage site. It is the largest natural caldera in the world and offers spectacular views. It's also a few degrees cooler in the summer. Best of all, it is not heaving with tourists - although perhaps I shouldn't have shared the secret here! Thank you Axonite! Thanks for sharing your secret with us :) Another great choice and Kumamoto Prefecture offers a lot for the traveler in Japan. Fuji-San is my favourite World Heritage Site, not only in Japan, but probably the world. It's one of the most iconic sites in the world... But, for such a monolithic symbol of Japan, it's pretty elusive... A friend and I spent five weeks in Japan trying desperately to see Fuji-San from dozens of vantage points over the course of our stay, with remarkably bad luck. It finally came out in all it's glory on our last day in Japan. Thanks Lola, Fuji-san is a popular and great choice. Yes, you need the weather to be on your side to see it but when you do, isn't it a magnificent site. I'm so glad that you got to see it on your final day.